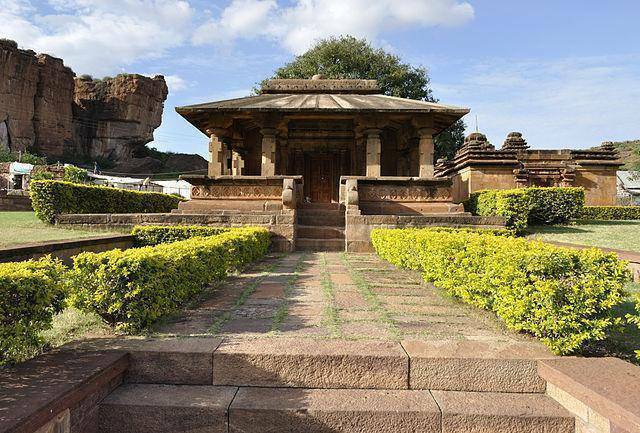 Rani Trilokyamahadevi, second wife of King Vikramaditya II, built Mallikarjuna Temple towards north side of Virupaksha Temple in 7th century in order to celebrate the victory of King in the battle against Pallavas of Kanchipuram. The temple is of Dravidian Style of architecture. Formerly the temple was termed as Trilokeshvara Temple and is dedicated to Lord Shiva. The patterns, designs, sculptures etc of Mallikarjuna Temple is same as “Sanghameshwara Temple” in Pattadakal. On either of entrance to Navaranga there are two huge idols which are examples for ultimate craftsmanship. The pavilion of the temple has sculptures depicting the image of Ugra Narasimha destroying the demon Hirayakashipu. Episodes from Great Indian Epics Mahabharata and Ramayana are carved on eighteen pillars of Navaranga. If you look up the ceilings of Mandapam the carvings of Gajalakshmi and Shiva-Parvati entices you.